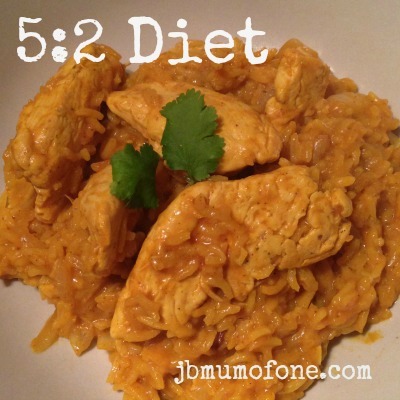 This chicken pilau is really tasty and really filling and at just 455 calories per serving it is perfect for the 5:2 diet. I am finding more and more with this diet that it is easier for me to go almost the whole day without eating much at all, perhaps the occasional breadstick or two, and then having a decent evening meal than trying to split my 500 calorie allowance between lunch and dinner. If you are the same then this is definitely one to try. This recipes makes two servings. Heat a non-stick pan with 4 sprays of your cooking spray and stir-fry the chicken for 2-3 minutes until browned. Add ALL the other ingredients EXCEPT ONION to the pan and heat gently until simmering. Cover with a tightly fitting lid and cook gently for 12-15 minutes, until the rice is cooked and the majority of the stock has been absorbed. Meanwhile, heat another non-stick pan with 2 sprays of cooking spray and stir-fry the onion for approximately 10 minutes until soft and brown. When the pilau is cooked drain it, place in a bowl and cover with a clean, dry tea-towel for 2 minutes and set aside. Then season to taste, stir in the fried onion and serve. 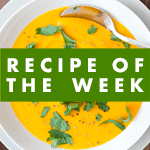 For more great 5:2 recipes check out our pinterest board here.